Breaking news coming out of Wrisk HQ. Our first joint product with BMW has just launched. If youâ€™ve ever watched the popular BBC show Dragonsâ€™ Den, youâ€™ll know that whenever a startup pitching for investment mentions a partnership deal with a major corporate, the dragons' ears prick up. 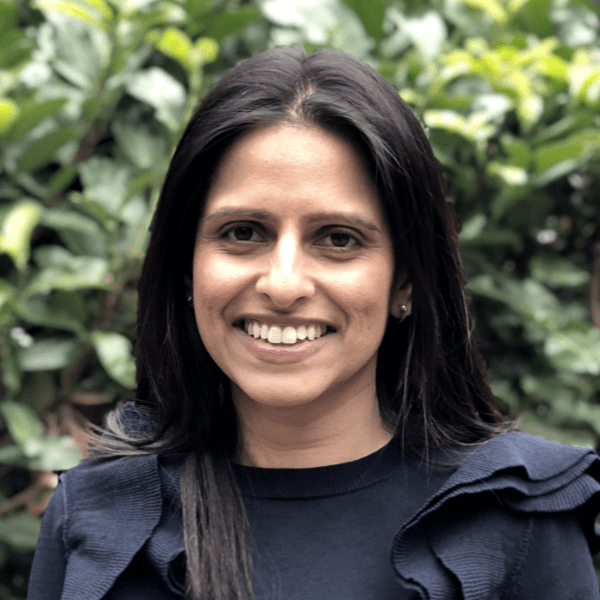 Of course Dragonsâ€™ Den isnâ€™t real life â€“ it is, predominantly, an entertainment show â€“ but nevertheless an established brand electing to work with a startup is kind of a big deal. Not just because of the potential revenue the partnership could generate (although for an investor this is a big pull), but also because of the faith that the corporate has shown in the fledgling business. 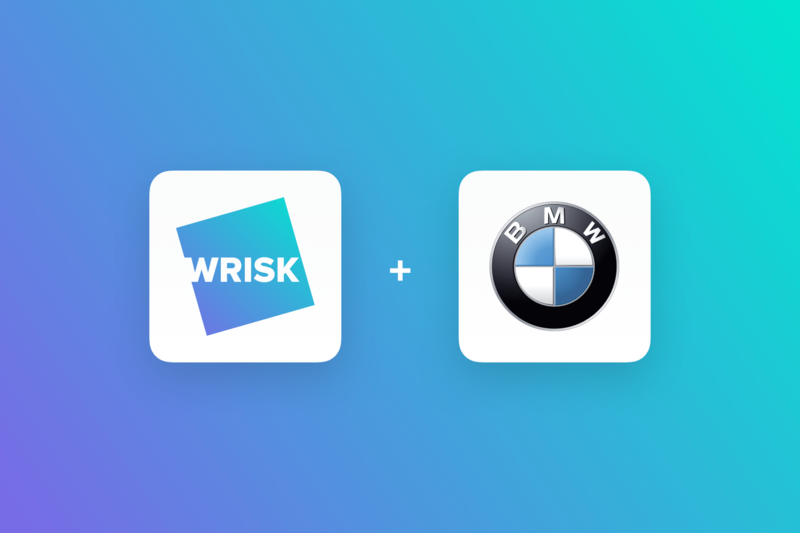 As of today, Wrisk is now the sole supplier of BMW and MINI Car Insurance in the UK. This includes seven days' free insurance with the purchase of any new or used BMW or MINI vehicle through the BMW and MINI UK network. Wrisk also offer fully comprehensive annual car insurance for customers who wish to continue their cover beyond the 7-day free cover. Of course for us, a business thatâ€™s only a couple of years old, this is a huge milestone and weâ€™re both delighted and humbled by the trust BMW has put in us. But weâ€™re also confident in what we can bring to the party too. As we've written before, we strongly believe that there's a mutual benefit to larger companies working with start-ups like ours. Wrisk was founded upon a desire for change, and weâ€™re built to make it happen quickly. Nowhere is this more obvious than in the makeup of the company itself. As one of our investors recently noted, instead of the old model where youâ€™d find the IT department sitting in some back office tucked away from the rest of the business, we've put our brilliant technology team front and centre. Our insurance specialists and our technologists sit together and work together, giving each other unique insights into the needs of our users. Fortunately for us, BMW are very much on the same page when it comes to the power of collaboration. 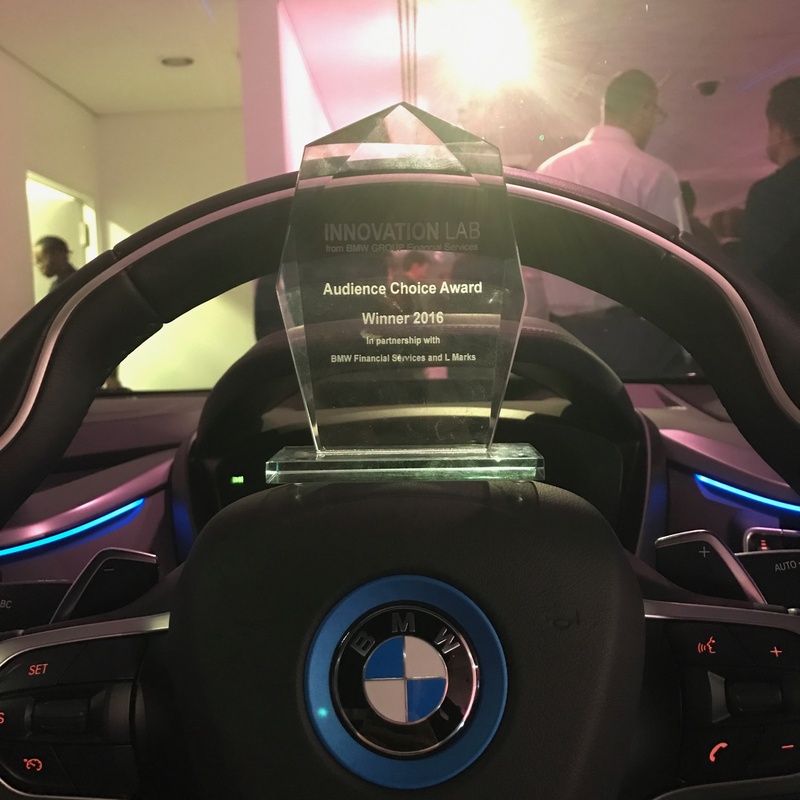 Thatâ€™s why they launched their "Innovation Lab" technology incubator, aimed specifically at companies with innovative business models or new technologies that could be used to benefit BMW customers. We took part in the very first BMW UK Innovation Lab in 2016, and weâ€™ve just been selected from hundreds of startups to join nine other finalists in the BMW United States Collaboration Lab in Ohio, with the chance to make our partnership an international one. Wrisk's trophy from the 2016 BMW Innovation Lab. Here at Wrisk, we've never been shy in saying that the insurance industry needs to move into the 21st century. But we've also made clear from the outset that we don't want to disrupt the industry â€“ we want to help it â€“ and we hope our work with BMW provides a good example of this. Weâ€™re united in our desire to put customer convenience at the heart of our insurance offering and this product is the first step in cementing our partnership and working practices. The next step will be to leverage what we learn together to push the boundaries of whatâ€™s possible through technology. With any luck (and a lot of hard work) todayâ€™s news will be just the start of a long journey towards real change.